These super cool after-school programs will encourage kids to learn and grow, even after the bell rings! 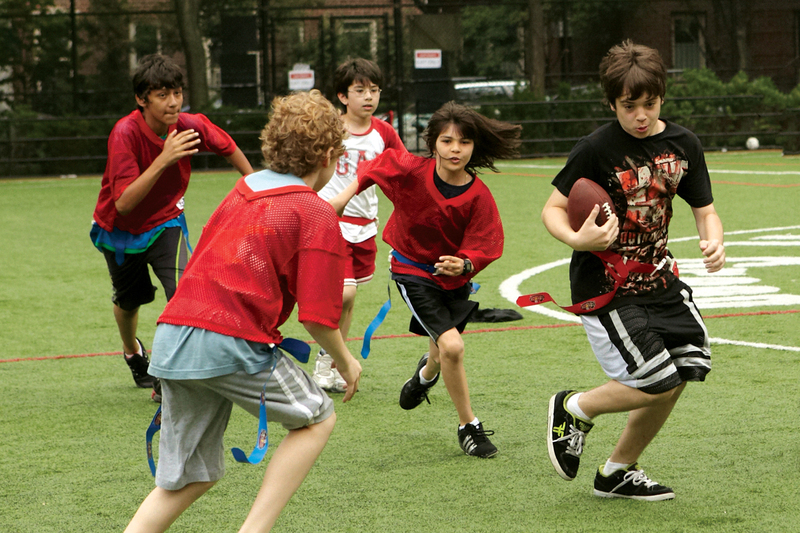 Looking for great after-school programs in NYC? Look no further than our fantastic list of great after-school classes for kids, including offerings centered on sports, theater, art, STEM and other cool stuff. Not sure where to begin? Sign 'em up for a general interest program to let your kids try all sorts of interesting activities, taking their education away from the desk and far beyond the bell. 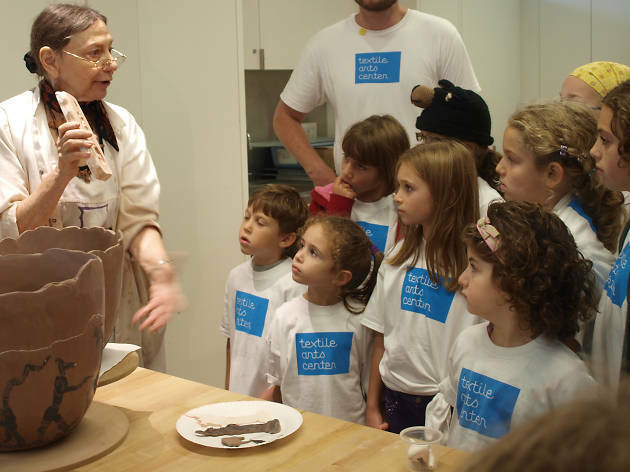 After you've browsed our guide to the best after-school programs in NYC, you'll certainly want to explore our guide to the best free classes for kids as well as coding for kids classes, kids' classes under $50 and local art classes for kids as well. Asphalt Green offers plenty of sports-related after-school classes for kids (and caters to a variety of age groups). 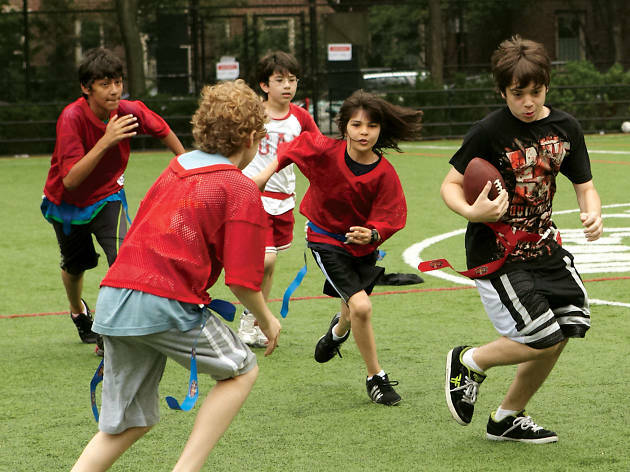 You'll find opportunities for both youth classes and ongoing youth programs throughout the year with concentrations in soccer, baseball, tennis, flag football and more great stuff. Locations in Battery Park City and on the Upper East Side. Ages 3–13. 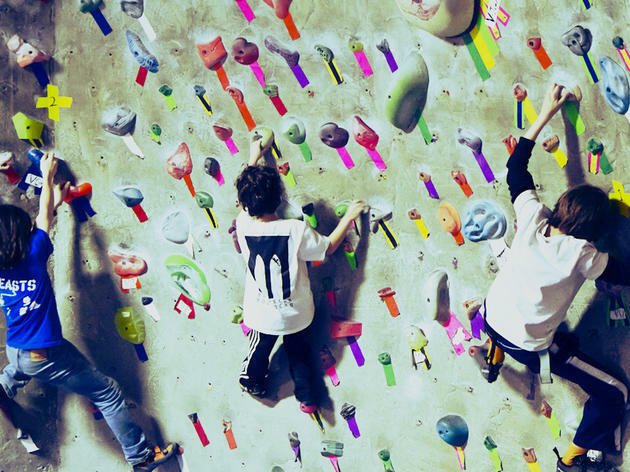 In the Brooklyn Boulders Kids Academy, young participants receive basic coaching as they learn to climb, and a 1:5 teacher ratio makes sure everyone gets personalized instruction. 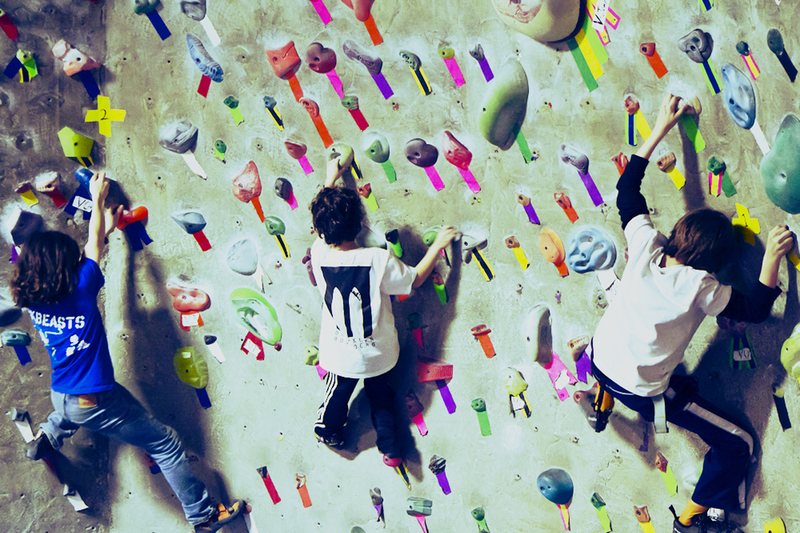 Kids will learn how to safely use equipment and scale Brooklyn Boulders' climbing walls, as well as enjoy activities on the ground too! Ages 4 and up. 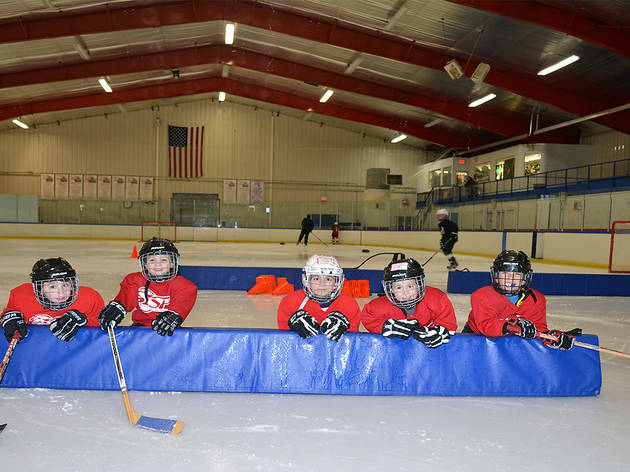 Fun at the Chelsea Piers Field House has no limits, and its after- school programs let kids take advantage of the amazing facility. Your tykes can sign up for one or more of the many semester-long classes, including rock climbing for the adventurous, dance for the dramatic, and soccer and basketball for the team-oriented. On days when the kids aren’t inside the classroom, they can take part in table games, art projects and computer activities. Chelsea Piers, Chelsea (chelseapiers.com). Ages 5–9. the children grow stronger and more flexible, they’ll also gain confidence—not to mention a few acrobatic skills they’ll love to put into use on the playground. Ages 4.5–12. 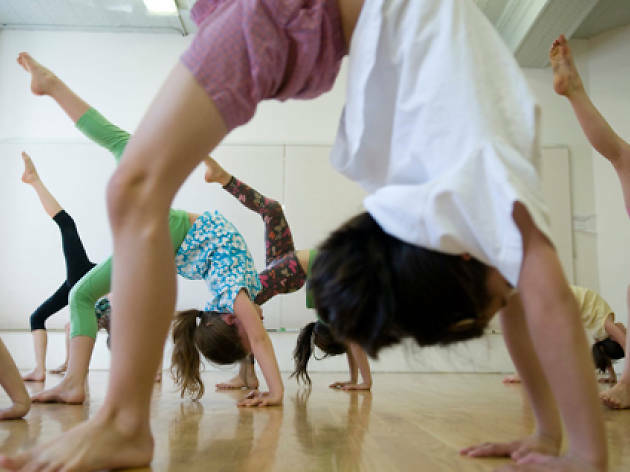 The 92nd Street Y holds classes for every discipline under the sun, and the after-school offerings at their top-notch facilities are always family favorites. Try sports like basketball or tennis, or dive deeper into the arts with studio arts, dance and music classes. There's genuinely so much on offer that our small description won't do it justice, so you'll have to check out 92Y's website for yourself! All ages. to play well with others through the basics of tennis. Early-elementary- school–aged children are taught how to correctly swing a backhand and a forehand and to volley, while bigger kids get into the nitty-gritty of how the game works and they even play mini tournaments. The oldest of students (9- to 11-year-olds) start to delve into strategy and graduate to the full-size courts, but even these young pros still get to have fun: At every level, instructors take breaks for games and music! Court 16, Boerum Hill (court16.com). Natural rock faces are few and far between here in NYC, but that can’t stop kids from learning the ins and outs of climbing right here in town. Before scampering up the bright, colorful walls, instructors familiarize the children with the gear needed—like ropes and harnesses—and give them tips for getting to new heights. Experienced climbers can take the intermediate course, which delves deeper in climbing techniques and how to build strength. The eight-week club includes one day per week (more can be added) as well as climbing gear rentals, a season pass and one guest pass. The Cliffs at LIC, Long Island City (lic.thecliffsclimbing.com). Ages 6–18. 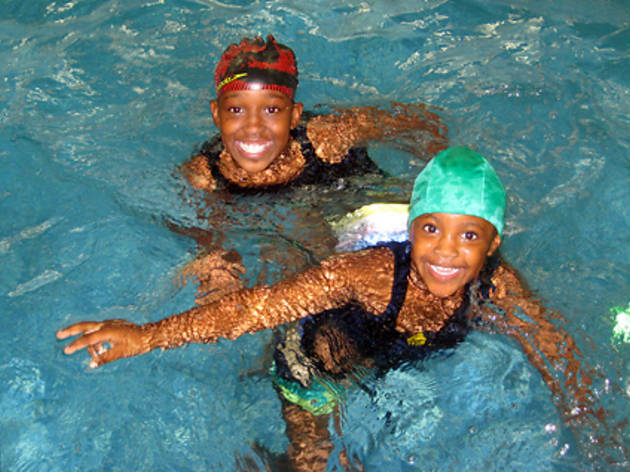 If your child wants to learn how to swim—or learn how to swim better—you’d be hard-pressed to find more options than those offered at the Y. Kids are grouped by age and capability, and certified instructors teach classes for ages that range from super young to teen beginners. The courses cover personal safety and stroke techniques like paddling, treading and floating so your guppies can hold their own on your next beach vacation. If your offspring prefer dry land, the Y also offers dance, basketball, tae kwon do and football. Various classes and locations (ymcanyc.org). Visit website for class descriptions and detailed price information. Ages 5–18. 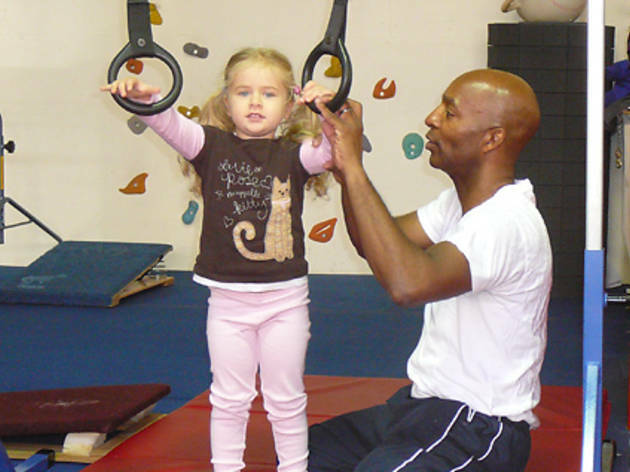 at the start of the session and teach children based on their individual abilities, strengths and weaknesses; even beginners can quickly become graceful circus folk under the instructors’ tutelage. Kids who can’t get enough of heights and tricks can also sign up for the trampoline class or get their ya-yas out with parkour. STREB, Williamsburg (streb.org). When school is out, it's the perfect time for moppets to harness their bouncing-off-the-walls energy! This program gets kids on the court so they can develop their b-ball skills amid fair play and friendly competition. The classes stay small and impart lots of support: Each group consists of about 15 kids and two or three coaches. Beginners will benefit from the introductory classes, while serious ballers can receive advanced training. Ages 4–12. for young children, the 89th Street location of this popular gym for tots has plenty to offer. The 3–5 set might enjoy the “sampler classes” with focuses in Fine Art, Dance or Gym, while older kids (up to age 8) can experiment in the ongoing Karate, Science or History classes (just to name a few!) Check out the website for information on the company’s endless offerings and other locations, too. 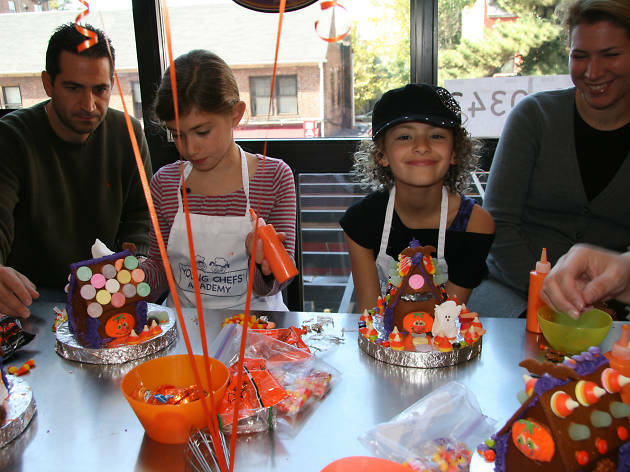 Kids Club, Upper West Side (nykidsclub.com). Ages 3.5–6.5. 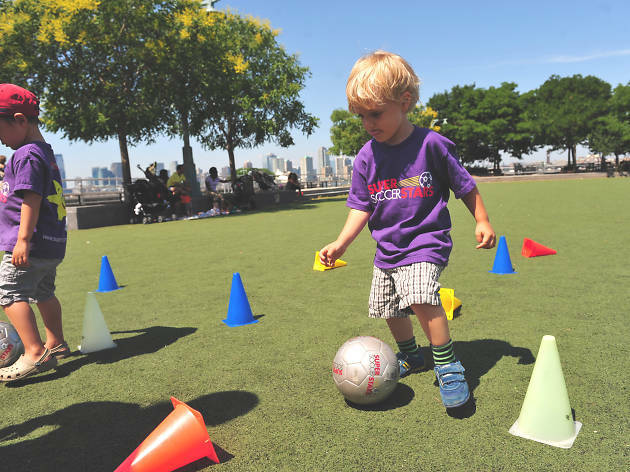 Let your future World Cup players loose at this stellar organization’s soccer classes, which are offered at about 100 locations in the area. The goal is to inspire self-confidence and teamwork in a fun environment—no competition required. Children will focus on key skills such as dribbling, passing and defending while learning how to play as part of a team. Super Soccer Stars’ Shine Program furnishes regularly scheduled classes for young ones with special needs, so just check the calendar for the dates and times. Ages 5–12. Though the trees may still have their green leaves, this large rink maintains its year-round frosty temperatures for ice-skating fun. 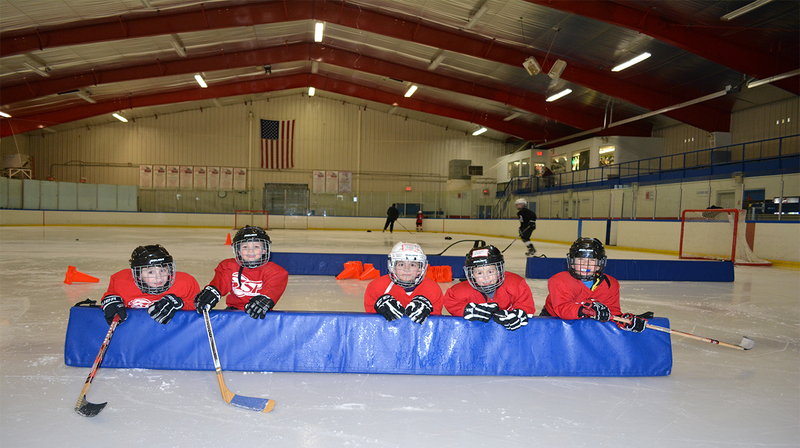 Aspiring figure skaters, hockey players and beginners can all learn the basics of edge work, stroking and turns. Courses are offered every day of the week for a variety of interests and skill levels, and public and freestyle sessions are available for little Mirai Nagasus who want to spend some afternoons shredding the ice without instruction. Ages 4 and up. 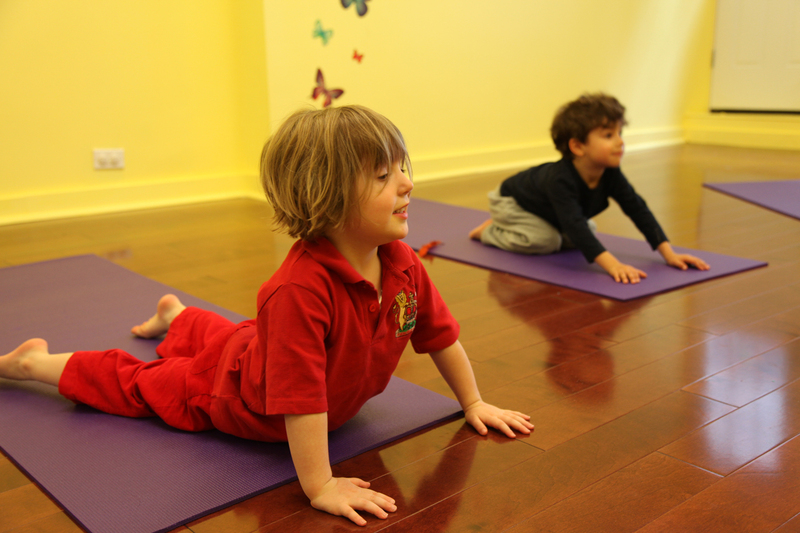 Master tree pose, cobra and downward dog at these cool kids' classes! 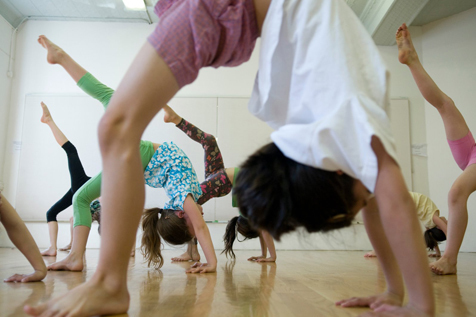 At 92nd St Y, there are Tween Yoga fall sessions (Tuesdays 4:30–5:25pm) for children ages 8–12. These are perfect for restless elementary and middle schoolers who have extra energy to burn after class. There are also plenty of offerings for the younger set (toddlers) as well as family yoga on weekends. With several locations around the city, you're sure to find one that suits you. Ages 3–10. The martial arts are fantastic for introducing kids to competition, in a respectful and nurturing environment. 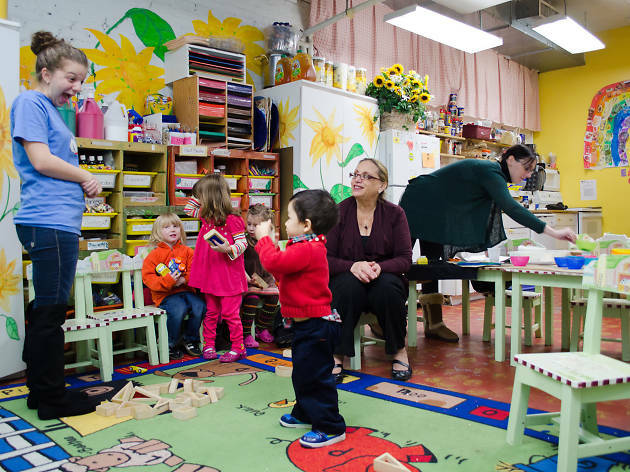 They can get started as young as toddlers at AmeriKick’s two Staten Island facilities, honing their listening skills and working together with other students in the Tiny Tigers program (ages 3–4). Self-discipline and focus become more important once kids become Little Dragons (ages 5–7) and practice coordinated grabs and kicks. They’ll work their way into the Karate Kids program (ages 7–13), which incorporates elements of Tae Kwon Do, boxing, kung fu and judo, and focuses on character development. 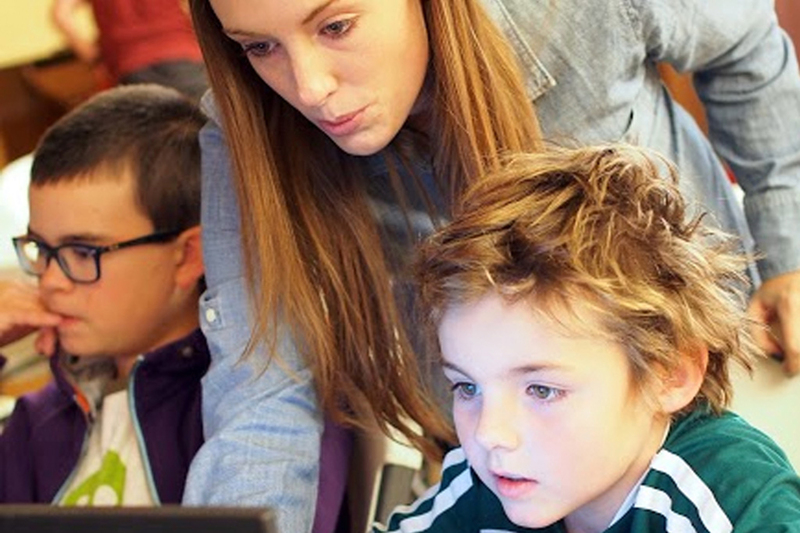 Students are given assignments to ensure they’re being kind and generous outside of class. Various locations in Staten Island. Ages 3–13. 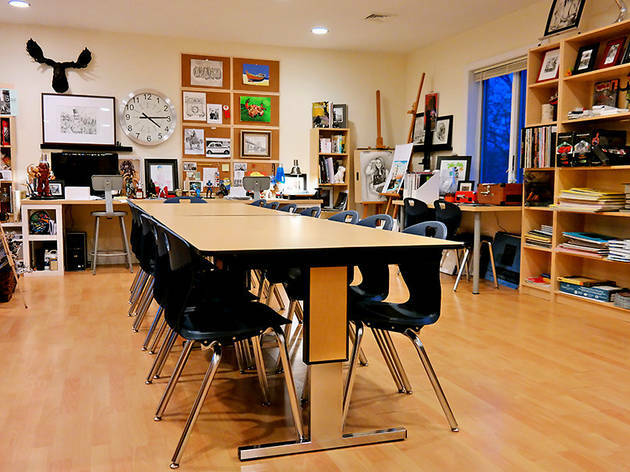 This kid-centric art museum not only offers its signature drop-in art-making programs but also a series of skill-building after-school classes for various age groups. Teaching Artists lead the classes to help crafty kids refine their techniques, find their own artistic style and explore their imaginations. The museum’s imaginative and rigorous offerings include typical art classes like painting and sculpture but also introductions to things like video game design, filmmaking and S.T.E.M. Before class begins, youngsters can join in on supervised play with other students. Ages 5–15. 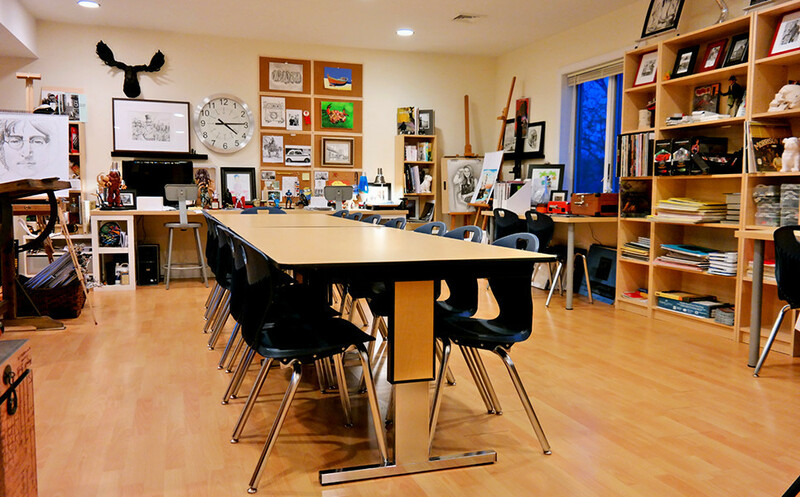 This kid-centric art museum boasts a unique series of skill- building after-school classes for various age groups. The Teaching Artists program helps crafty cubs explore their imagination, find their own artistic style and refine their technique. The museum tenders traditional art-class fare (photography and painting) as well as introductory courses on the art and science of stop-motion animation, filmmaking, character design and more. Some scholarships are offered, and pickup from local schools is available for an additional cost. Ages 5–15. This craft destination welcomes young learners to experiment with new art forms at its two locations, both of which offer similar eight-week workshop cycles. On a typical day, budding artists will have time for homework and a provided snack before 4pm, when classes begin. Supported by professional artisans, students can try their hand at weaving on a loom, printmaking and fabric dyeing, mixed-media techniques, fashion design (with instruction in sewing), and building soft-sculpture creations (stuffies! ), which can be sewn by hand or on a machine. Ages 5 to 11. Artsy projects go far beyond tempura paintings at this Staten Island studio. Creativity is merely a jumping-off point that leads kids to focused courses like Comic Art (ages 6–12) which involves designing characters as well as elements of storytelling. Kids can channel their ideas into a plethora of other classes as well, including drawing, painting, fashion boutique, animation, human anatomy, digital design and photography, which each introduce young creators to new and exciting materials and tools. Driven artists even get a chance to show off their full range by putting together impressive portfolios made up of works using graphite, pastels, watercolors, acrylic and more. Ages 4–19. Bring on the movie magic! 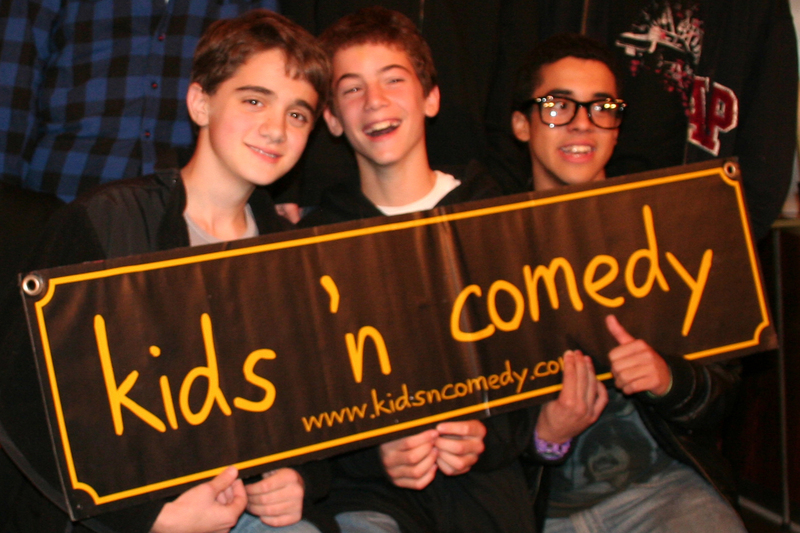 Here, kids in grades 3–5 and 6–8 get to go behind the scenes and get in on the action. 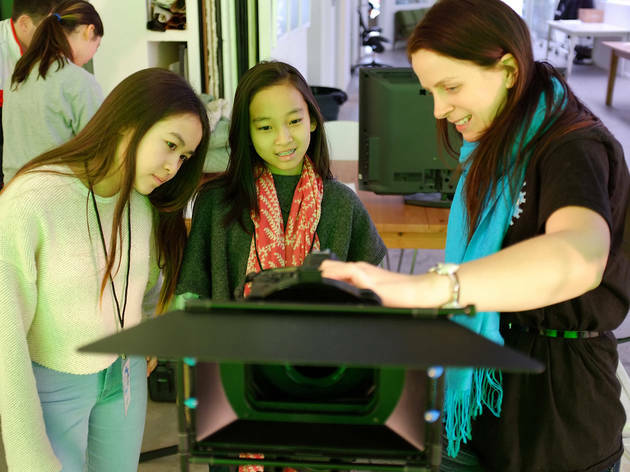 They’ll get to touch/work with professional movie-making equipment and collaborate with their groups (led by two instructors for every 12 kids) to make their very own 5–10-minute movie. Ages 8–13. If you’re after the language de l’amour, look no further than FIAF—a full-immersion school that ties its exploration of the language to French art and culture. 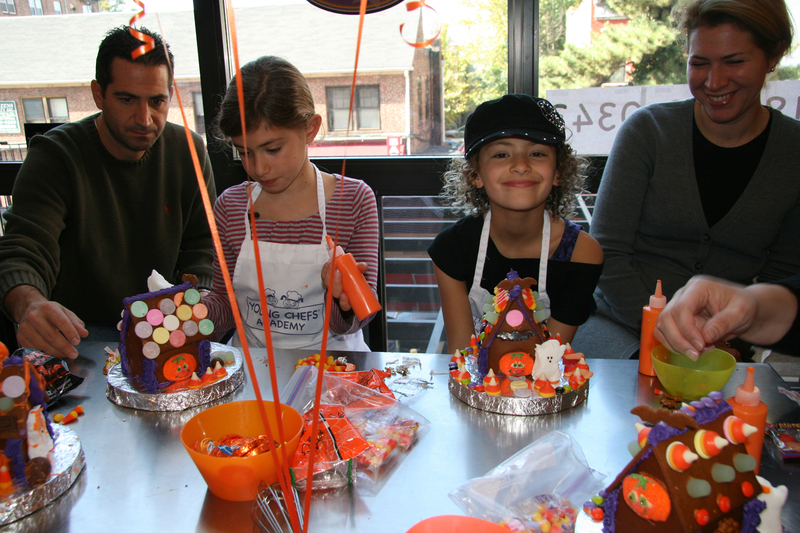 The venue's kids and teens after-school programming includes general French courses, private lessons and themed French courses (like the Arts & Crafts Club) as well as Fall Day Camp for the youngest age group. Ages 5–17. At this creative studio, little bookworms (ages 3–5) dive into different stories each week in Let’s Look in our Favorite Book classes before making themed crafts like creature collages and insect sculptures. Those ages 4 to 6 examine famous artwork in Matisse, Monet and Me to inspire their own masterpieces, while older kids (ages 6–9) try out Bookmaking using techniques like accordion folding and hand sewing. 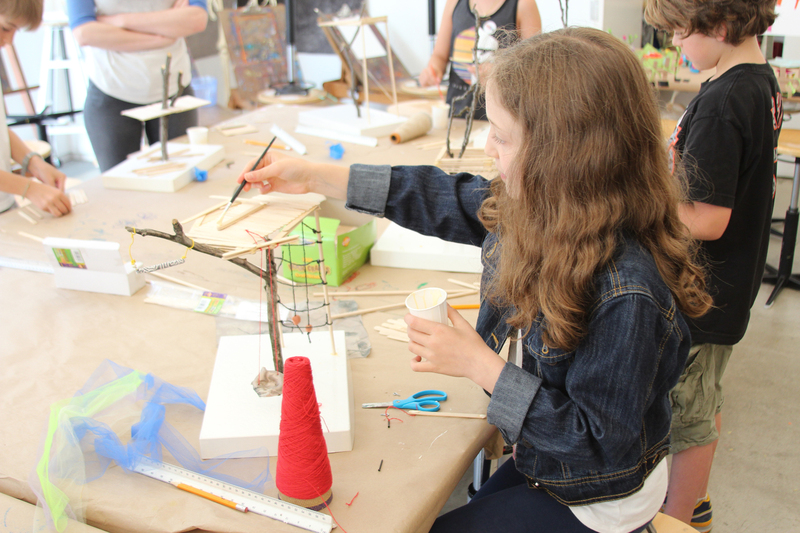 Pre-teens (ages 9–12) dive into drawing in Draw, Doodle & Pop! with fine artists like Keith Haring and Van Gogh as examples. Ages 18 months–12. Drop-off for ages 5 and up only. Mill NYC, Dazzling Discoveries offers a hands-on approach to studying engineering and science, coding and game design—even arduino and robotics. Skill Mill, geared towards the teens, offers Arduino, laser-cutting and advanced sewing programs. 971 Columbus Ave (917-288-9975, dazzlingdiscoveries.com). Ages 5–13. There are a wide variety of offerings at this Tribeca studio, including a popular boys' hip-hop program (there’s a Street Hip Hop class that includes girls too!) that's drawn plenty of young men in the few years since it launched. From ballet and tap to jazz and lyrical, range from Tututots for teeny ballerinas to invitation-only technique sessions for experienced students, this spot has something for anyone you likes to boogie. Ages 2 and up. 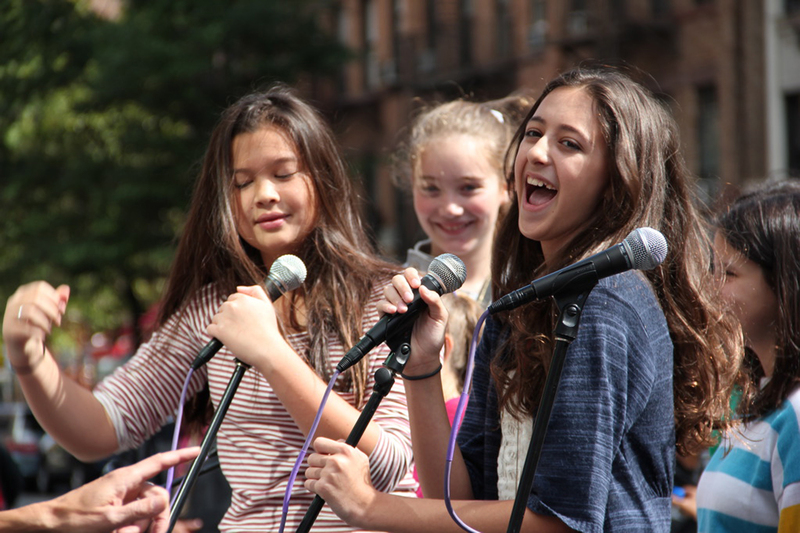 Child’s Play NY tackles everything a performing arts program should. 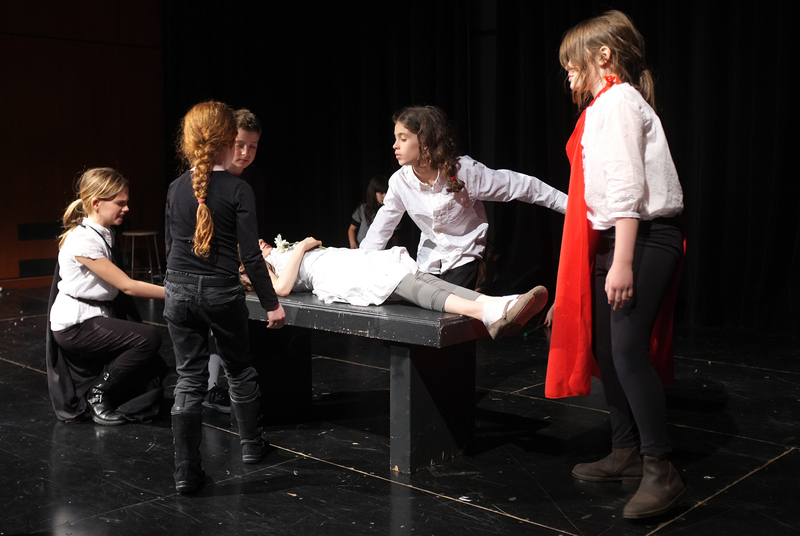 It invites students to immerse themselves in fantasy scenarios as they sing, dance, act and make use of props while bringing their characters to life on the stage. Kids are welcome to explore the venue’s opportunities—which are grouped according to age brackets—including “Imagine That,” a course where those ages 2–3 put wonky characters into unusual situations (think a wild animal on line at the grocery store in NYC) and “Teen Theater,” where students ages 12–16 take on Greek myths and recreate popular Shakespearean histories. 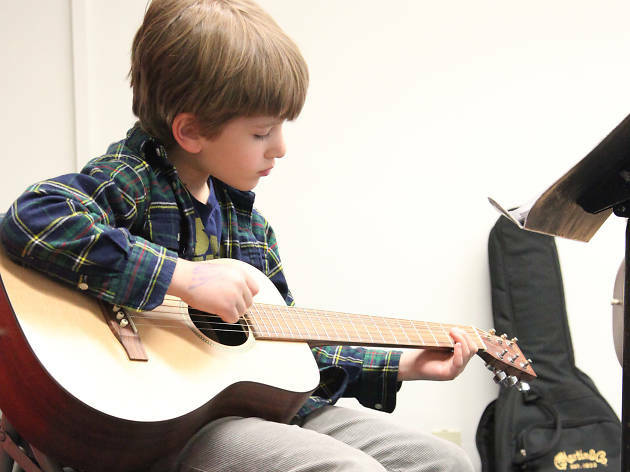 In certain courses, young performers will be putting on their own shows, so moms and dads will catch a glimpse of what their kiddos have been rehearsing. Ages 2–16. Students of all ages are enriched through dance thanks to Mark Morris. 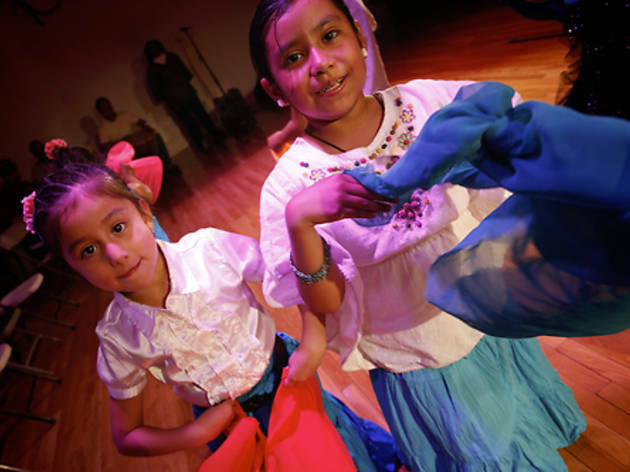 Classes, which are held in Brooklyn’s Cultural District, run the gamut from jazz and hip-hop to world dance and ballet—any genre that might be of interest to your children. 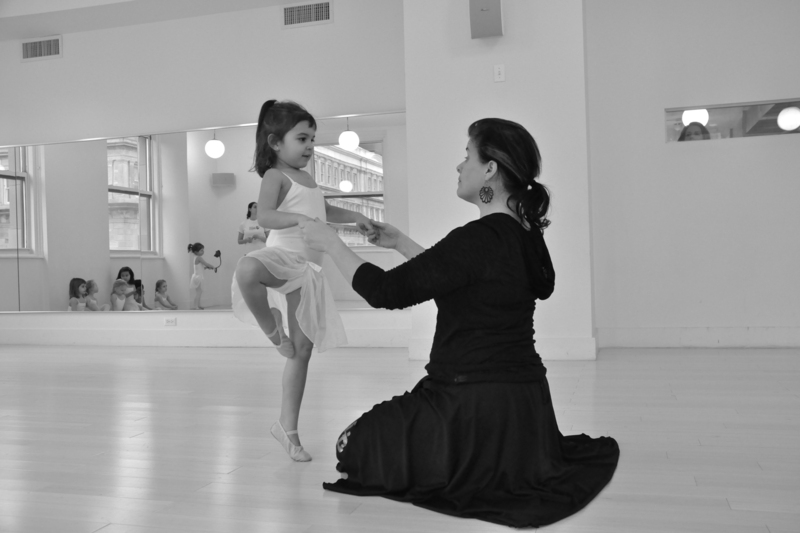 Moms and dads with teeny dancers (18 months and older) are invited to parent-child courses throughout the year. The venue also caters programs toward children with special needs. Plus there’s good news for those looking to take in a show: There are opportunities to watch your kids perform at the end of the programs. Ages 18 months–18 years. 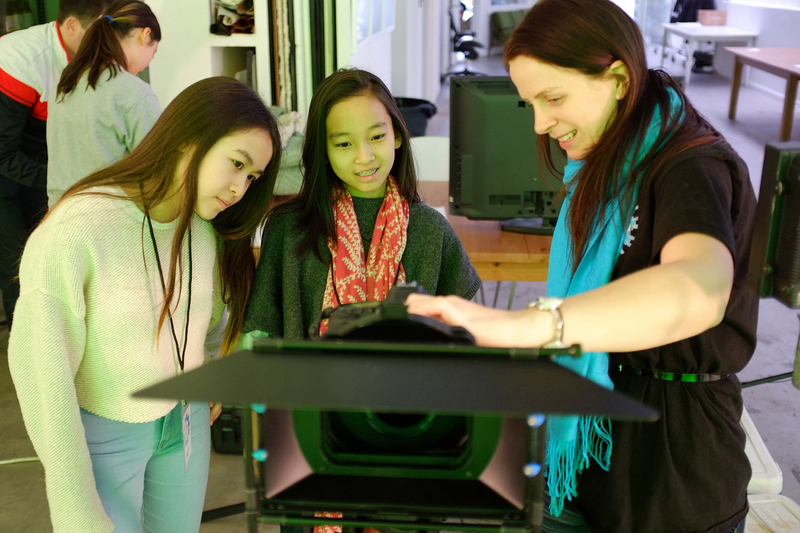 Children and teens enrolled in Take Two Film Academy’s classes will bring their creative ideas to life with the help of seasoned filmmaking professionals. 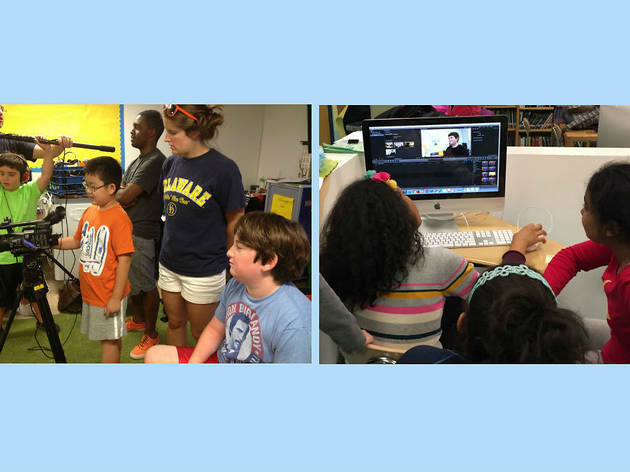 In the fall program, 8- to 16-year-old students can collaborate on their own YouTube channel, created just for kids. 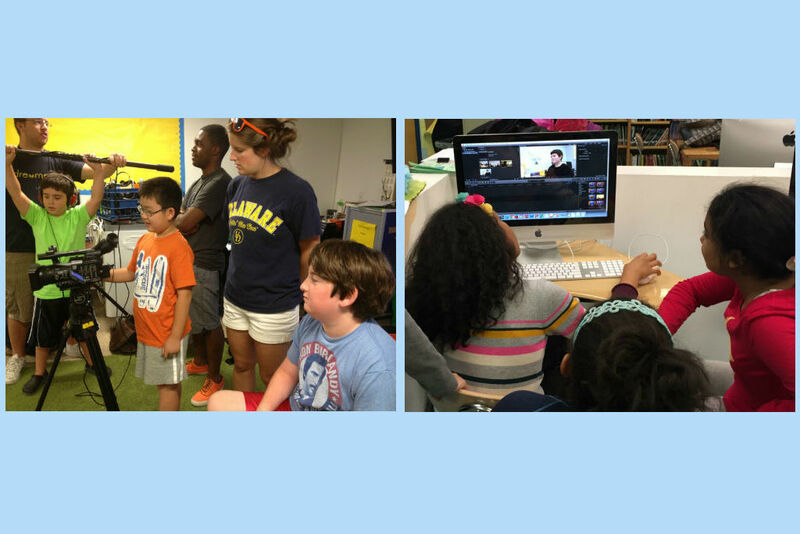 Students learn camerawork, software editing and sound design as well as helpful tips for creating online videos. Tiny directors (5–7) will have the chance to explore exciting animation styles, such as stop-motion, pixilation and rotoscoping. All courses conclude with the kids’ creations being uploaded online and a celebratory screening party. Ages 5–16. 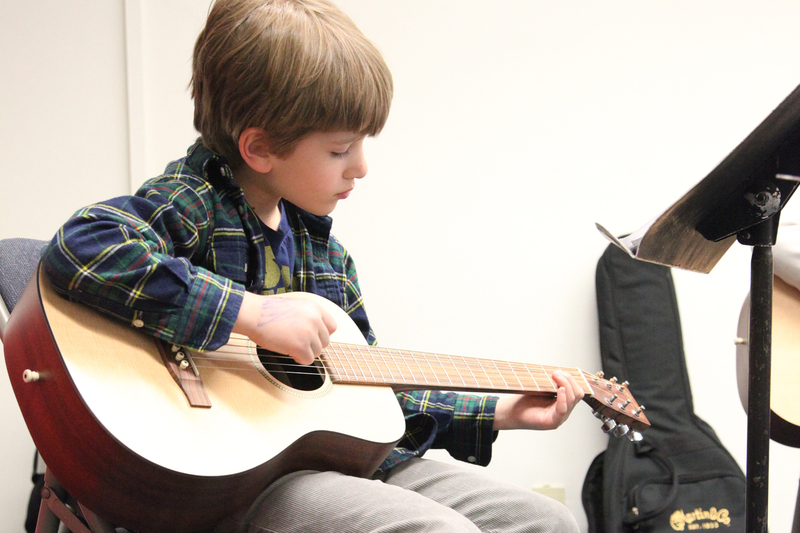 If you’ve got an aspiring entertainer on your hands, the occasional school play probably isn’t enough of an outlet for his or her creative energy. 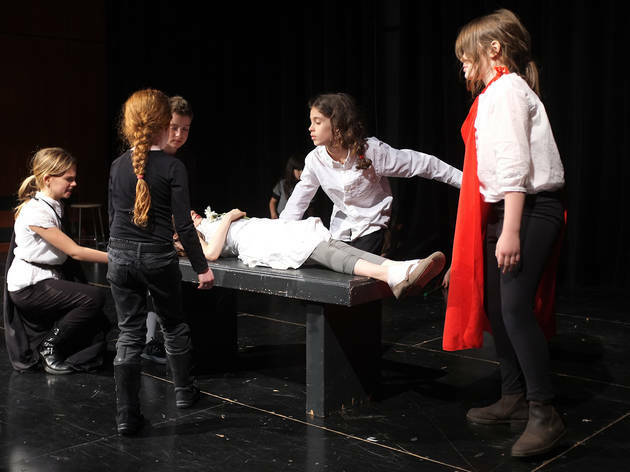 Kids who dream of going into the performing arts will dig the immersive courses at Applause New York, which cover topics such as dance, musical theater, on-camera acting and more. Students can work on individual skills or collaborate as a team to create dance numbers, musical productions, complex characters and original films. 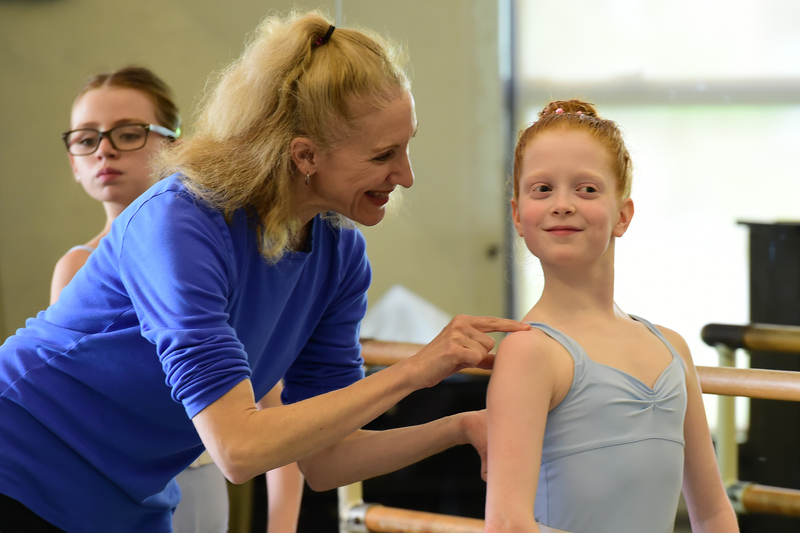 If you're feeling inspired by your child's appreciation for the arts, sign up for a class—the venue also offers adult courses. Think of all of the creativity destined for your household! Ages 1 and up. 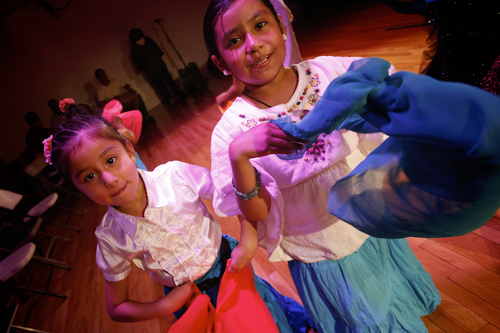 Kids of all skill levels are welcome to put on their dancing shoes and join in at this studio. 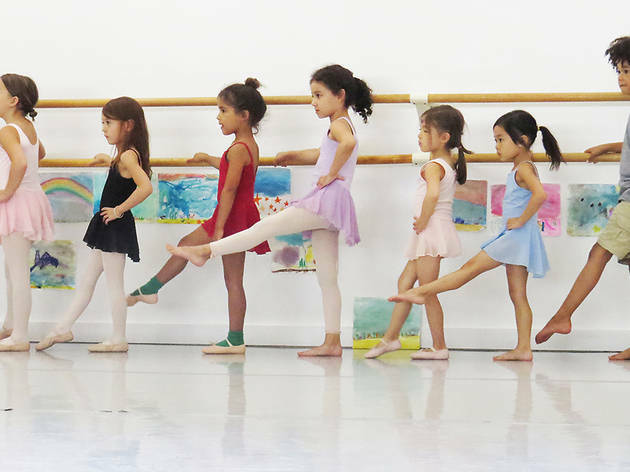 Beginners learn dancing basics like coordination and rhythm in the Young Dancers Program (ages 2–5) to prepare for ballet and tap classes, while kids in the Technique Program (ages 6–18) develop form and try other genres like jazz, theater dance, hip-hop and modern as well. 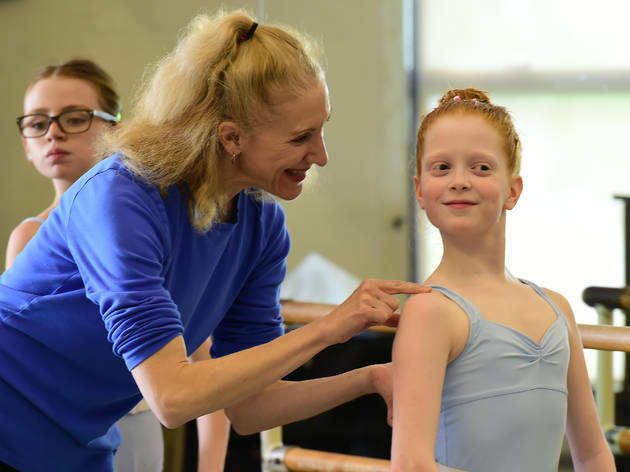 Pilates and dance history are also in the mix, and serious dancers may even ascend to the Pre-Professional Program (ages 7–18). Rehearsals are fun, yet focused, with a required dress code for most classes, but the dancers’ dedication pays off—past students have gone on to perform in prestigious shows, including Broadway’s Hamilton. Ages 18 months–18. 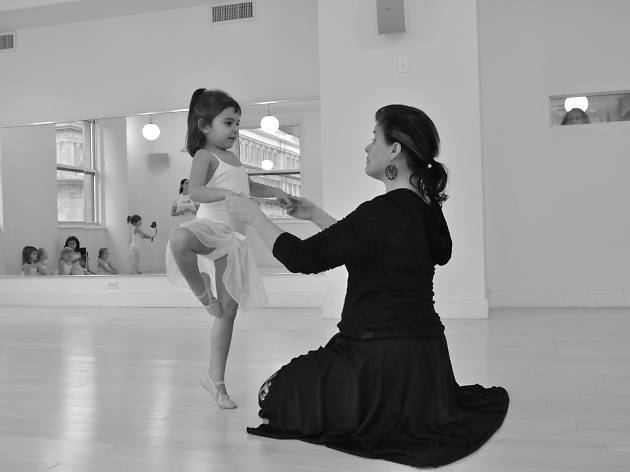 Kiddos receieve expert instruction in dance and theater at BAX’s studios, all while absorbing important lessons about creativity, forming an identity and even social justice. Students learn about form and rhythm in focused dance classes organized by age, delving into the techniques of modern dance, ballet and hip-hop. 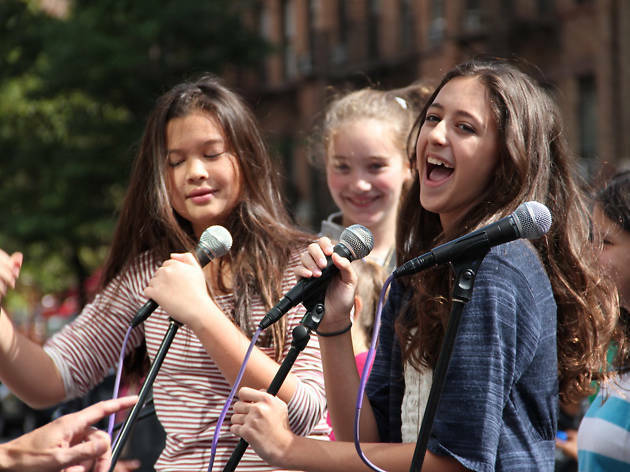 Aspiring actors work on their vocals, explore improvisation and hone more theater skills in drama classes. 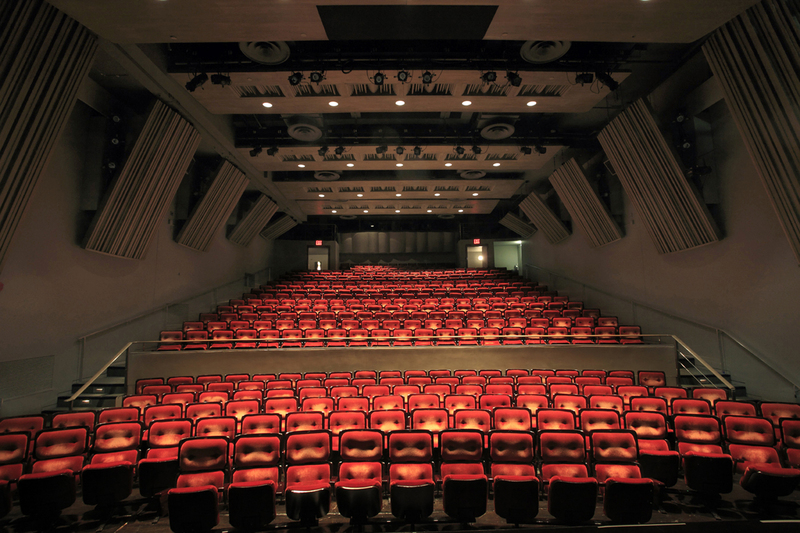 Exercises, storytelling and creative games build confidence and an understanding of the art before the term culminates with a showcase of the students’ original works in the BAX Theater. Ages 1–18. If you’ve ever balked at the high cost of childcare or after-school activities, you won’t believe that this structured, all-inclusive program is completely free for Bronx kids. After the school day, local students head to the center after class and dive in to a variety of subjects such as arts, tech, engineering and even college help for those entering the SAT and application process. Ages 5–15. If you have some funny kiddos on your hands, it's time to let them explore the possibilities of their humor (without younger siblings being the expense of the joke). 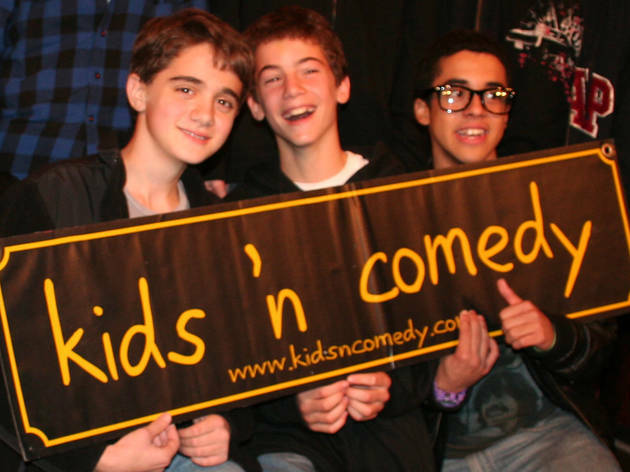 Guided by professionals at Kids 'N Comedy, youngsters build on their chops by studying their favorite comics for some inspiration, writing and workshopping material they create before ultimately testing it out on their peers. Get ready for lots of laughs! Ages 10 and up. Find the leotard and start lacing those ballet shoes. 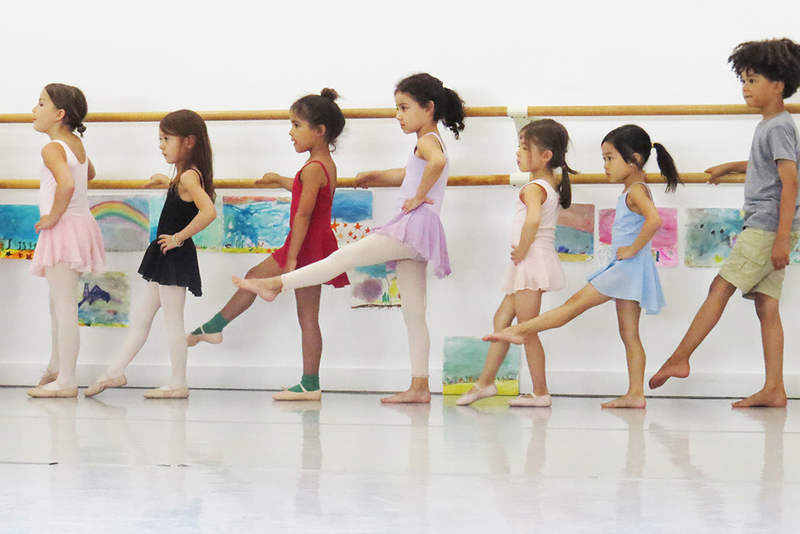 Several levels of ballet (including parent-child classes) allow young twinkle toes to build their skills from the ground up. But that's not the only offering at the Long Island City School of Ballet. 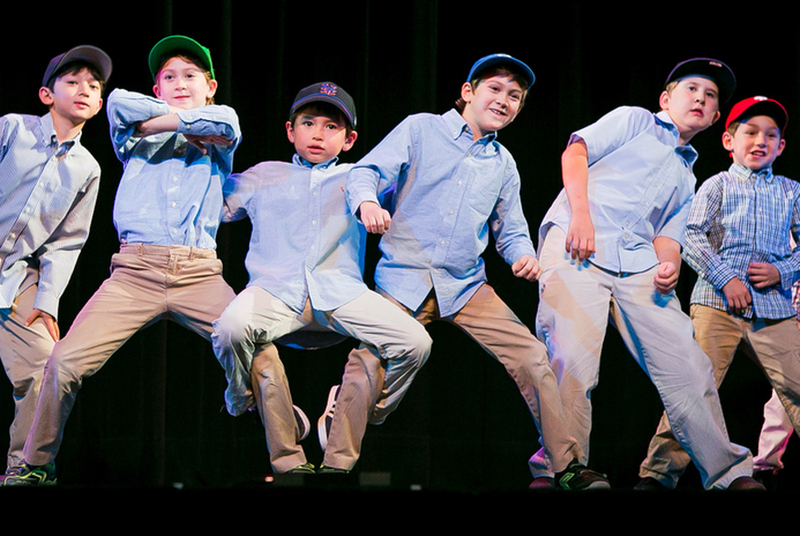 Atypical options include SportsDance for Boys, a program that uses athletic movements to teach the fundamentals, and Imagine Dance, where a different story serves as inspiration for the routines in each class. Classic offerings such as hip-hop, tap and jazz are also on the menu, should your dance machine want to check out a variety of genres. Ages 2 and up. 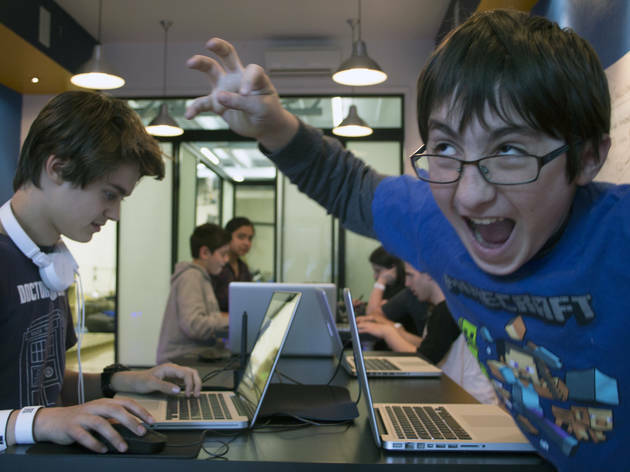 Leveling up in Donkey Kong or building a house in The Sims used to be an impressive feat, but with sophisticated coding software, young gamers and designers are capable of so much more. 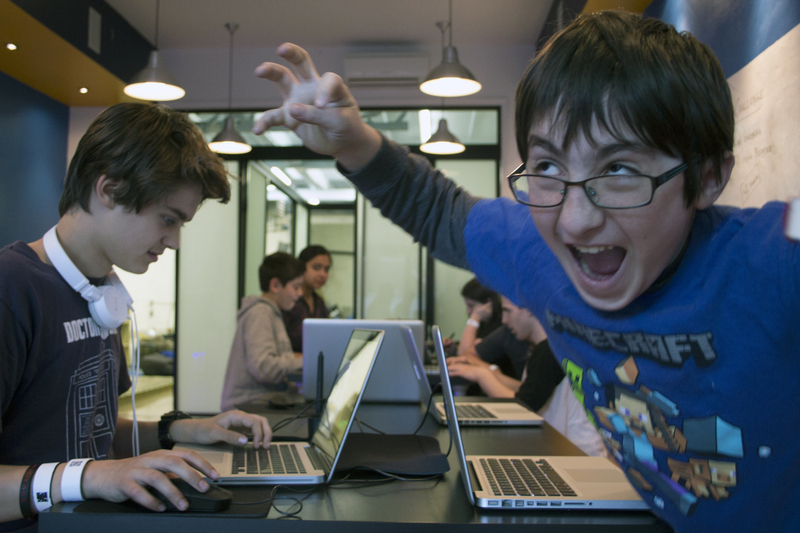 Kids can learn coding basics, design 3D video games, make custom mods in Minecraft, create original animations, build apps and more in focused CodeAdvantage classes. Parents will certainly pick up a thing or two by following along with their child’s projects. Ages 6–13. These days, kids aren’t just impressing their parents by mastering high-tech toys with little instruction, they’re building their own playthings—working parts and all! 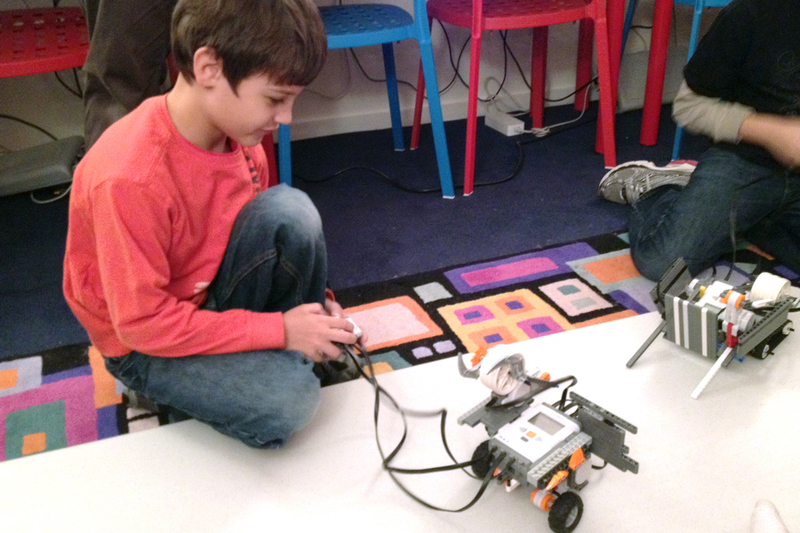 This electronics and robotics shop in Brooklyn invites kids to learn and create together. Courses cover everything from basic engineering (circuitry, mechanics) to digital programming and 3D design. Be sure to check out all of the offerings in both Brooklyn locales! Ages 5–14. 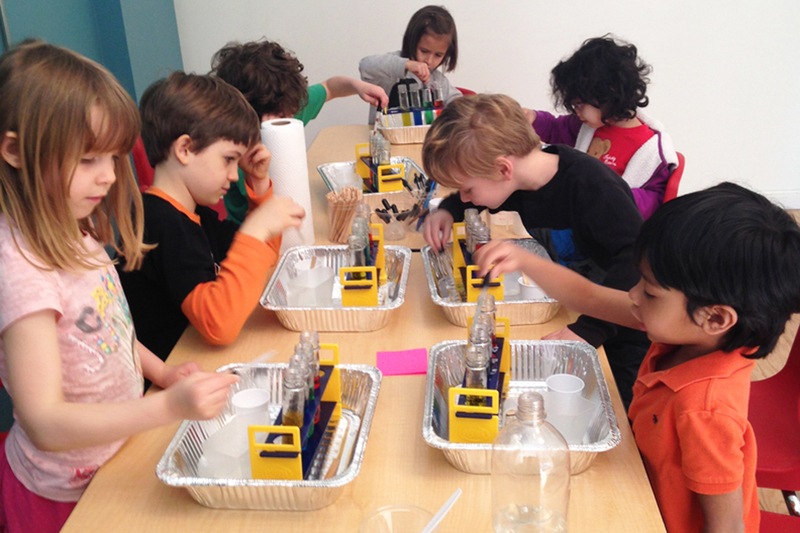 If your kiddos love science, it’s time to ready the test beakers and grab those lab coats. 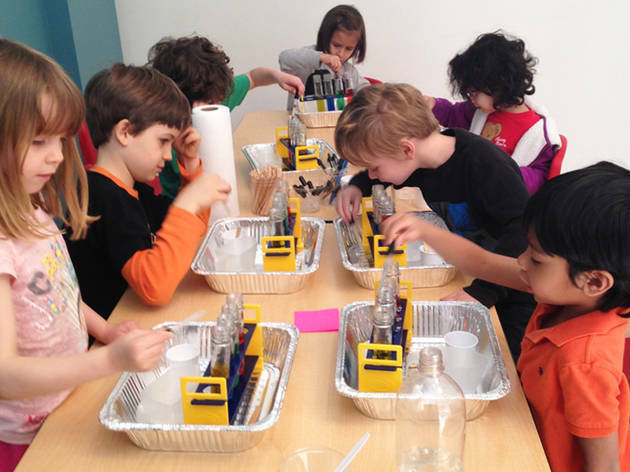 Carmelo’s after-school program offers options for three age groups (pre–k, kindergarten–second grade and third–fifth grade) to explores cool concepts within the science field. Tap into the world of engineering—think bridges and skyscrapers—with the fall 2018 theme, “Cosmic Construction.” Kids will fall in love with science and rise to the top of their class after they learn the ropes from this expert science whiz. Ages 3 and up. 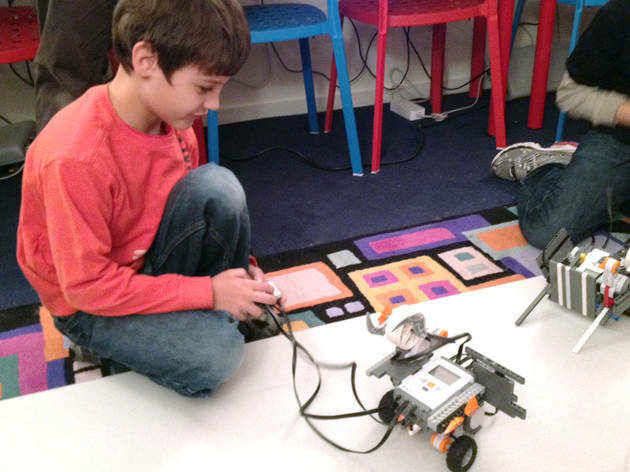 Technically inclined kids dabble in robotics, video-game design and stop-motion animation with this venue's exciting offerings. 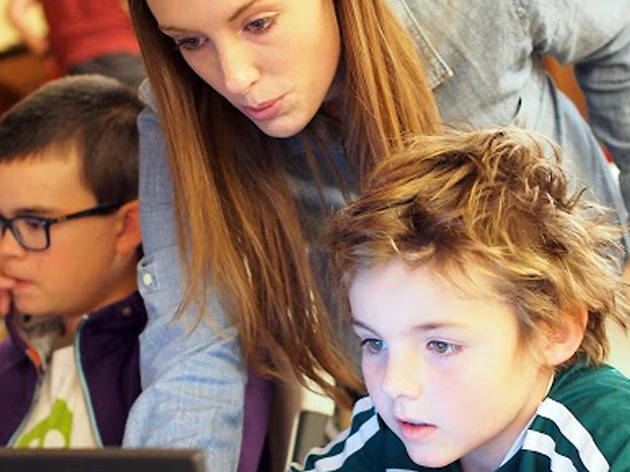 Over the course of a session, students may construct robotic projects using motors, pulleys and gears, or script and direct their own short films. On the last day of class, students show off their creations to friends and family. Ages 3 and up. This hub of science and exploration hosts hour-and-a-half classes and hands-on workshops that encourage a range of STEM learning. 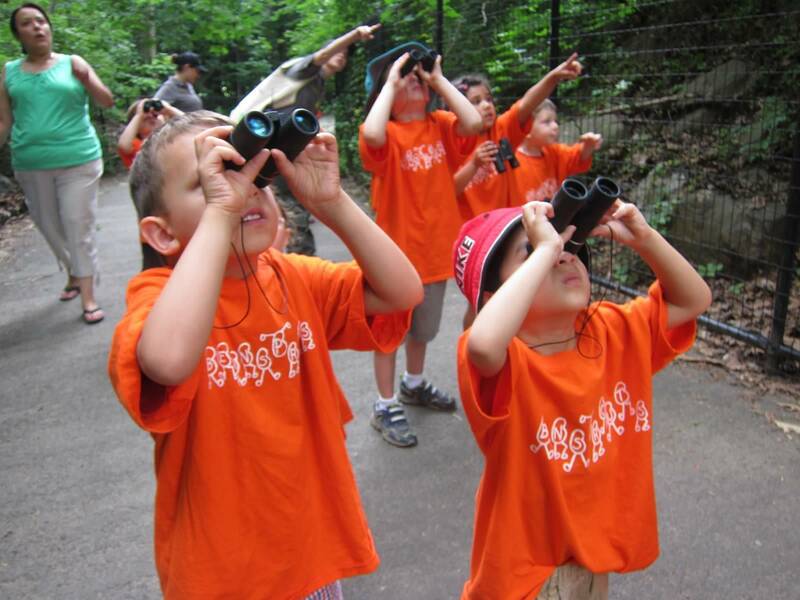 In the fall, the Brooklyn Rangers course takes kids outdoors to help them become environmental experts, identifying plants and leaves, tracking animals, and finding out what owls eat for breakfast, among other critical questions. The Super Sleuths class turns moppets into detectives by teaching them about forensic evidence and secret-message encryption. The organization offers after-school pickups from some local schools. Ages 5–12. 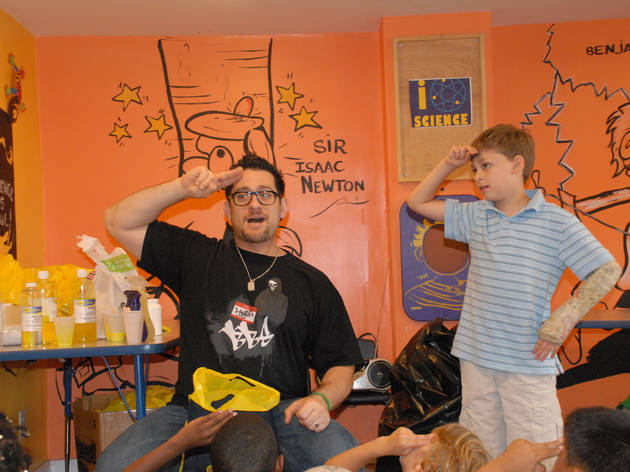 If your kids need math help (and fast) or are just in need of a new academic challenge, the after-school Edison Club at Zaniac is a great pick. 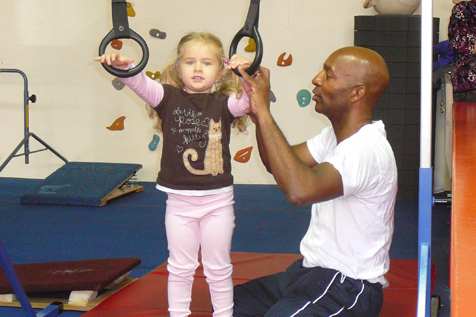 Pint-size participants are evaluated so instructors know how best to address children’s strengths and weaknesses, and parents are given daily progress reports to keep track of how their youngsters are performing. Teachers also make sure students complete their homework and help them puzzle through difficult assignments using fun methods for explaining various concepts—an added bonus if your kids are tackling subjects they’re unfamiliar with. Ages 5–14. the opportunity to become master builders by taking on a new project each week, constructing models that are unlike anything in toy stores. 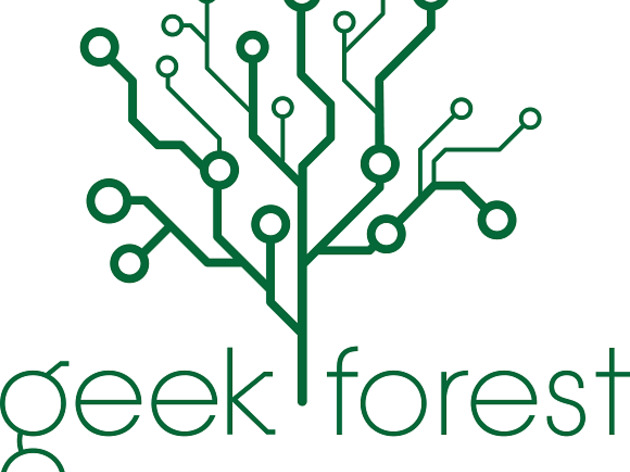 Other offerings include Video Game Design and Coding and Scouts programs that help youngsters earn their badges (a win-win for Brownies and Boy Scouts). Ages 5 and up. 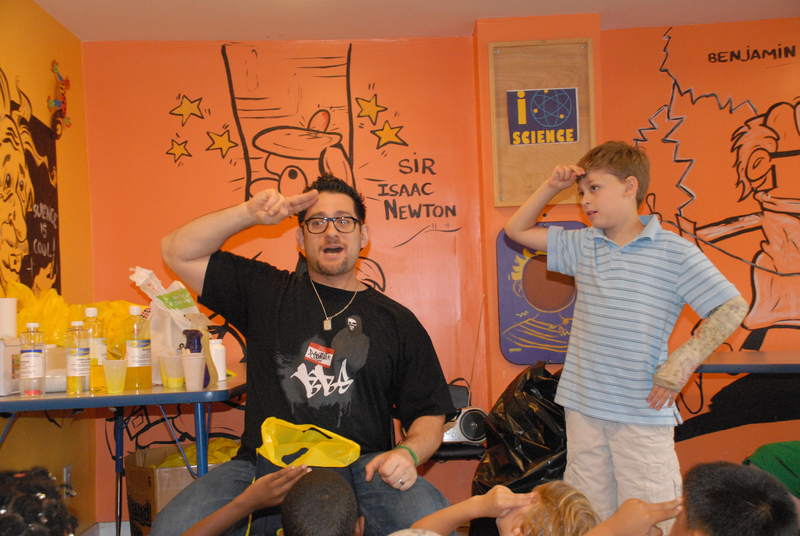 Here’s proof that STEM can be fun! Your little Einsteins can drop by one of Pixel Academy’s two locations for daily “makerspace” activities (3-D printing, for instance). You can also sign up for one of Pixel’s six-week series, like “Virtual-Reality Coding,” to build development and design expertise. Sessions include homework help and snacks, as well as optional pickup from eight schools in Brooklyn and four schools in Manhattan. Ages 7–12. 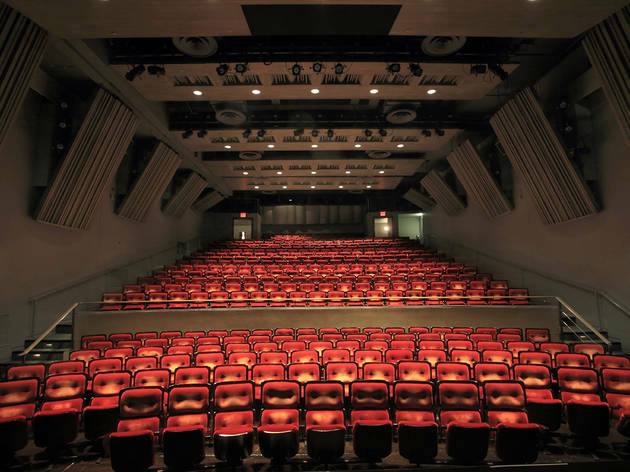 KoKo NYC is all about the intersection of science and the arts. 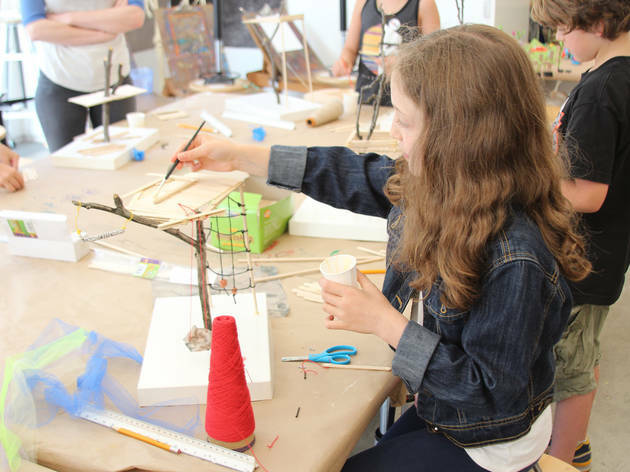 This fall, founder and local artist Monika Wührer will teach the Simple Machine Lab (ages 7–9) and the Extraordinary Machine Lab (ages 10–13). Both courses explore simple machines (there are six: inclined plane, wedge, lever, wheel-andaxle, screw-and-pulley) and the creative power of invention, encouraging kids to tinker, experiment and repurpose found materials. Pickup from local Brooklyn schools is available for an additional cost. Ages 7–13. Trained scientists, engineers, designers and other industry experts indulge students’ curious questions like “How would a superhero’s heart be different from a normal human’s heart?” or “Can 3-D printers be used to help save the environment?” in various SciTech Kids classes. 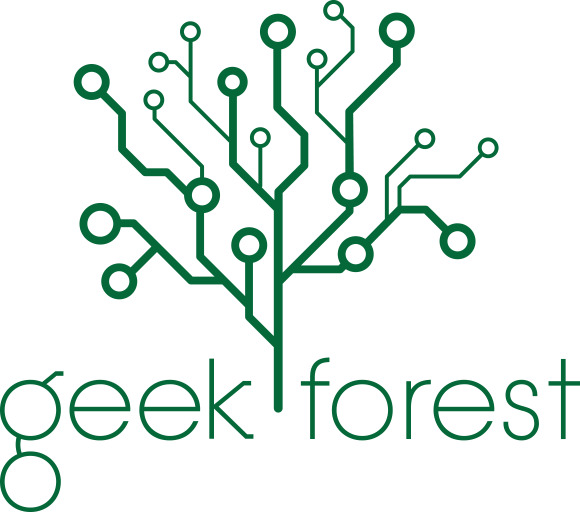 This fall’s offerings include “SciTech” explorers for those ages 3–5 where students can discover natural phenomena and “SciTech Investigators” for students ages 9–12 who are curious what is going on within the field. Ages 3–15. 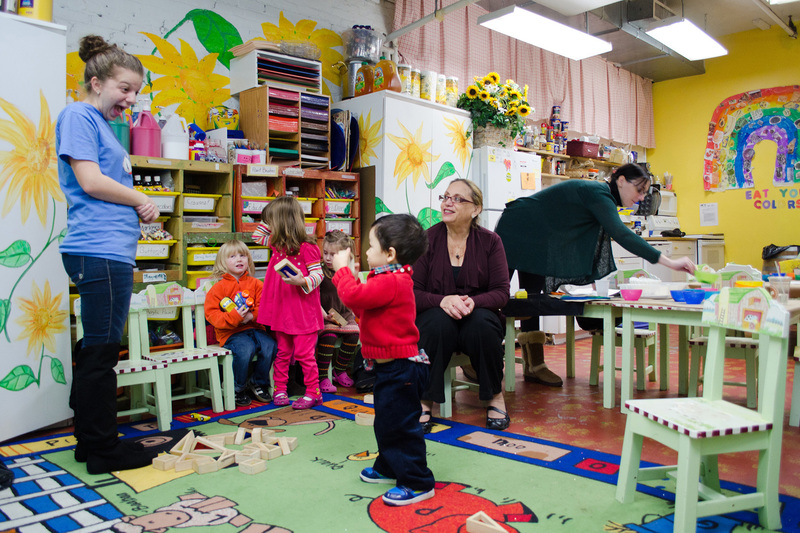 This well-established Park Slope nursery school has experienced staffers to keep kids busy after school with activities like photography, cooking, pottery and soccer in their indoor/outdoor facility. The pluses are many: they’ve got a full sized gym, they provide homework help and keep healthy snacks around to fill kid-bellies. Two-, three-, four- and five-day options are available, so you can customize the program to fit your schedule and needs. What’s more, they pick-up from ten area schools. Various classroom locations. Grades pre-K through 4. 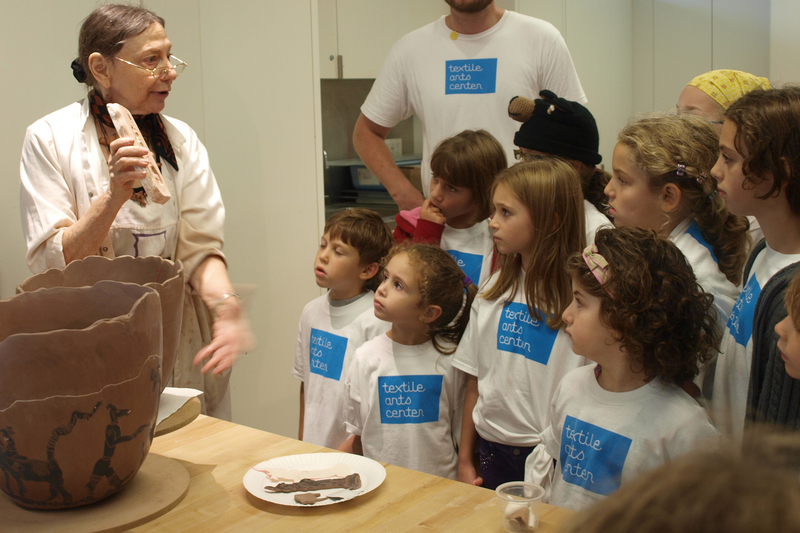 This Kings County institution provides Brooklyn sprouts with the opportunity to learn firsthand from museum educators. 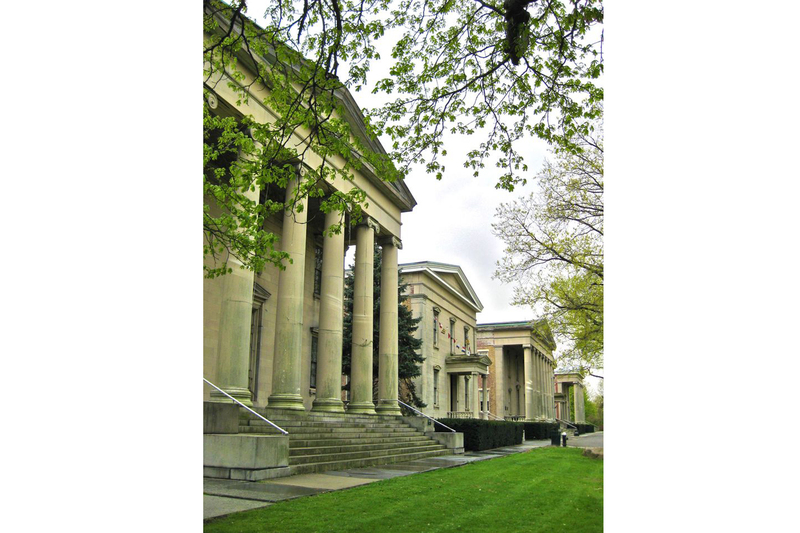 The free daily program focuses mostly on arts and culture through experiments, demonstrations and lessons inspired by the museum’s extensive collection of 30,000 objects. The program takes place at P.S. 189, but only 80 slots are open on a lottery basis, so don’t forget to download the application from the organization’s website in August. Ages 5–11. and gymnastics for energetic kids, ballet and hip-hop for dancers and even a variety of coding classes that use Kodu Arcade and Minecraft. 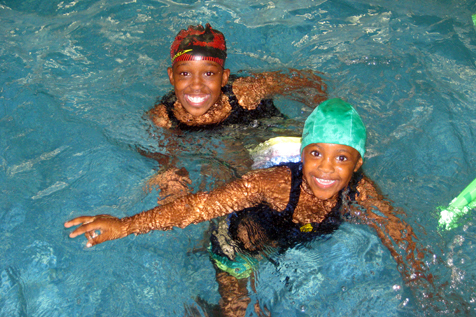 Minimermaids can swim year-round in the indoor pool during sessions dedicated to teaching appropriate strokes and techniques to all levels of swimmers. Counselors transport kids from school to the JCC and within the building between classes. Ages 4–11. 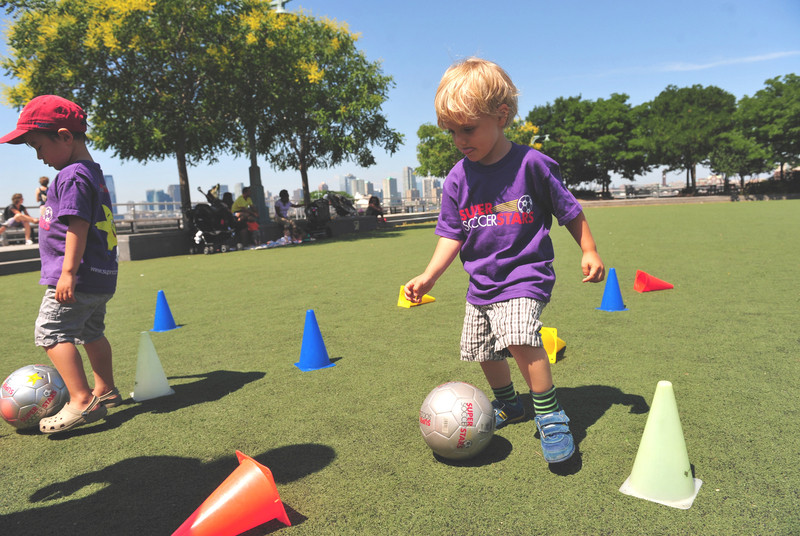 The reliable NYC Parks program provides great options to keep kids engaged and entertained during the afternoon hours. You can trust that your brood’s brains and bodies will stay stimulated through a wide range of academic-enrichment and teambuilding activities. The staff leads little ones through arts and cultural programming, sports and fitness fun and special events. Yes, healthy snacks are served! (Each borough separately manages its own program, so check the website for details and registration information.) Ages 6–13. Many learning facilities throughout the city allow kids to look but not touch, but this expansive cultural center and botanical garden encourages youngsters to interact with their surroundings for the full experience. Grow to Eat classes at the onsite Heritage Farm let kids discover where food comes through planting, examining and preparing seasonal produce. Explore the botanical garden grounds by getting crafty in Autumn Leaves sessions or taking an ecological tour in the science-focused Wetlands Creatures program. Ages 5–10. cooking and baking techniques and plating presentation. Some people use the program as a drop-in class, while members take the classes weekly and can track their growth as amateur cooks with monthly knowledge assessments, all while working toward a diploma and a MasterChef jacket. The academy may be just what you need for a picky little eater; some studies have shown that they’re more likely to try meals they prepared themselves. Bon appétit! Ages 4–18. Little ones at this classic after-school program are divvied up into age-grouped “clubhouses” so they can meet new friends and get to know their counselors. Games, homework help and snacks are included! For an additional cost, the program proffers enrichment classes that give tots the chance to pursue interests such as cartooning, gymnastics, dancing and swimming. The 92nd Street Y offers pickup from about a dozen schools (or a discount for parents who provide their own transportation). Ages 5–12. 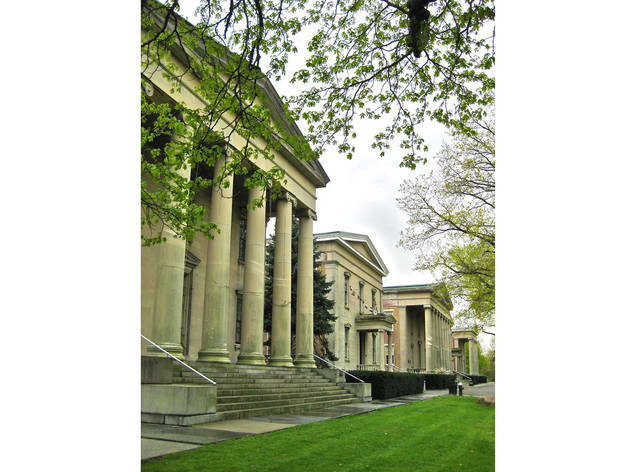 The historic school focuses on the overall improvement of education for children and targets a variety of creative and intellectual pursuits to encourage discovery and growth. 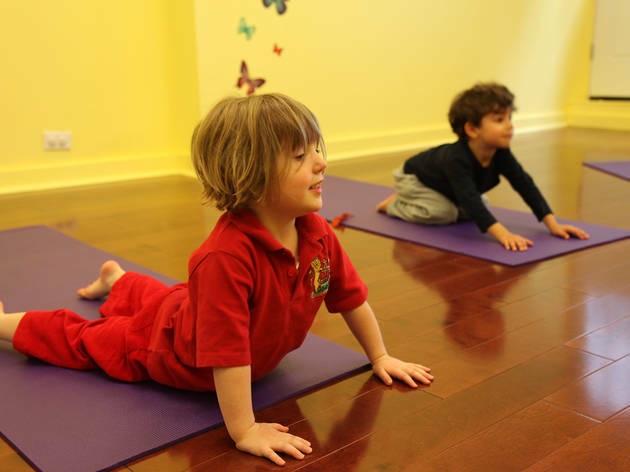 That means your kindergartner’s afternoon hours will be filled with activities like yoga and mindfulness, tap-dancing lessons, immersive sign language and many other cultural, fitness and creative courses. For less-structured play, two drop-in groups support kids’ after-school learning with outdoor fun, storytelling time and arts and crafts. Animal lovin’ kids get hands-on time with guinea pigs, turtles, bunnies and bearded dragons while learning science skills like observation, classification and communication. Babes (and caregivers) also hang out with a variety of creatures in Rocks, Smocks & Animals, a mommy-and-me class that combines animal visits with music, storytime and art. If your kid’s more the culinary kind, consider the Farm Foodies Cooking Class, where kids learn the importance of cooking with fresh ingredients. Need a fun and flexible option? The Afternoon Kids Club can cover you for a couple of hours. Ages 14 months to 8 years.